From master story teller, Guillermo del Toro, comes an other-worldly fairy tale, set against the backdrop of Cold War era America. Elisa is a mute, isolated woman who works as a cleaning lady in a hidden, high-security government laboratory in 1962 Baltimore. Her life changes forever when she discovers the lab’s classified secret – a mysterious, scaled creature from South America that lives in a water tank. As Elisa develops a unique bond with her new friend, she soon learns that its fate and very survival lies in the hands of a hostile government agent and a marine biologist. Guillermo del Toro’s visually ravishing fantasy romance is a Beauty and the Beast fable where both get to be beautiful and neither has to be beastly. 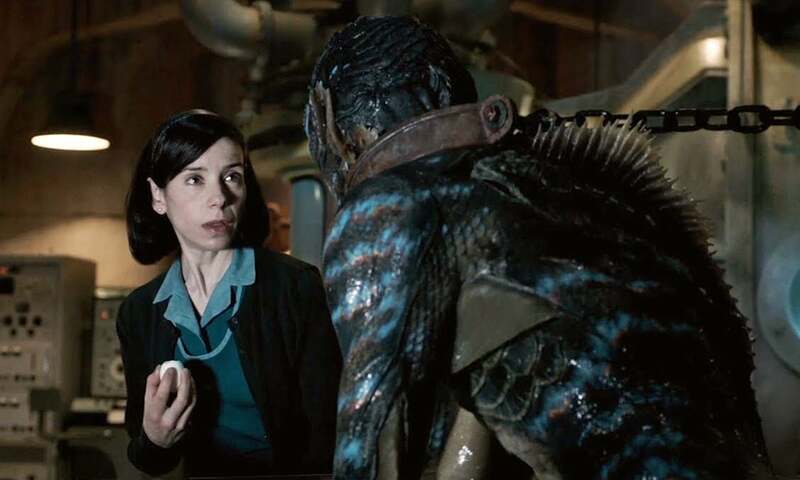 The two of them are part of a world that Del Toro has dreamed into existence with authority, confidence and miraculous detail. Dir: Guillermo del Toro, US, 2017, 2 hr 03 min, 15.